A few weeks ago I spotted the Nars Fairy's Kiss Palette on a blog and I instantly knew I had to have it. I spent a ridiculous amount of time looking at swatches online and checking the Sephora website to see if they had it in stock (they don't). I finally decided it would be best to see it in store so I headed to Holt Renfrew and let me tell you, the palette is even more beautiful in person. Once I saw it in real life there was no hesitation. 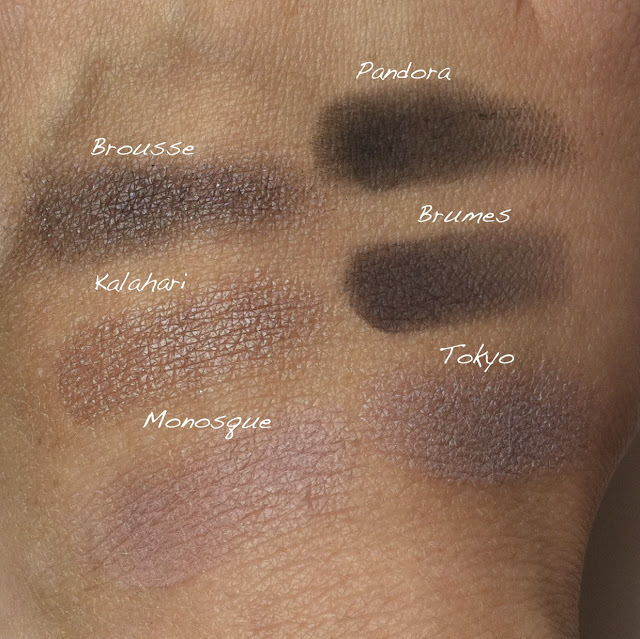 The palette consists of six cool toned shades with four of them shimmer/frosted and two of them matte. I always choose neutral shades and I tend to prefer cooler colours so I am pretty sure I will get a lot of use out of this palette. This is actually my first introduction to Nars eyeshadows so I am very excited to put this to use. When in Colombia do as the Colombians - Heading from Medellin to Santa Marta / Fresh watermelon juice to welcome me to the beach / My cousin, sister and I having some fun in the pool / Trying to be creative with our Instagram shots! The only way to start the day on the Colombian coast - Arepa de Huevo - There is nothing more delicious! / Testing out my new hat / Catching some rays by the pool with my new Leonisa bikini / Cousins! What do you like to wear when travelling? Like most bloggers I was pretty excited when Bourjois released their cream blush. I was hoping that they would release it here in Canada but unfortunately they have not. Thanks to Asos.com (and their wonderful free worldwide shipping) I was able to get my hands on all four colours and I decided to try out shade 3 Rose Tender. It is a beautiful dusty rose colour that I think would work on most skin tones. It also has some hints of shimmer in it but it is very subtle. I am not a huge fan of glitter on the face and this isn't chunky or very noticeable. I really like the texture of the blush as it doesn't feel sticky or greasy once applied to the skin and it blends into the skin and looks quite natural. I haven't tried a ton of cream blushes but I really like this and I'm tempted to try out the other colours as well. I also really like the packaging because it is small and no fuss which makes it easy to toss into a makeup bag. What is your favourite cream blush? I spent three weeks in July and August in Colombia visiting family which accounts for my lack of online activity in the last little while. 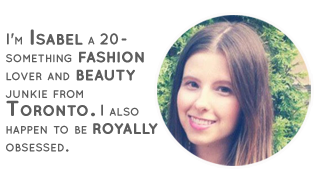 I did have blog posts scheduled but apart from some Instagraming I wasn't online very much. My grandparents house is in the countryside and it is a beautiful backdrop for photographs. On this particular day I set out with one of my aunts and two cousins to see some baby rabbits down the road (they were very cute). I was wearing my Blank NYC skinny jeans, a striped Joe Fresh sweater and my black Tom's which is perfect farm attire. Some might be surprised to see me wearing a sweater but the days (especially if cloudy) can be cool and the evenings cold due to the higher altitude. Even though we are close to the equator the altitude is around 2100m above sea level which means its spring all year round. With that being said sunny days can be warm but I always err on the side of caution while packing because I hate to be cold! (My favourite farm footwear just so happens to be my trusty Ugg boots, which I didn't pack this trip and obviously regretted). Thanks to my Tia Luli for taking these photos! Bloggers in the UK have been raving about Rimmel's Apocalips Lip Lacquers for ages now and they have FINALLY made their way to Canada. I picked up two shades to test out and I couldn't wait to see if they lived up to the hype. There is something about seeing people talk about products you can't try that makes them seem all the more appealing and this was definitely one of those situations. These are definitely long-wearing liquid lipsticks and I was impressed with how opaque they were (no need to double dip the wand). 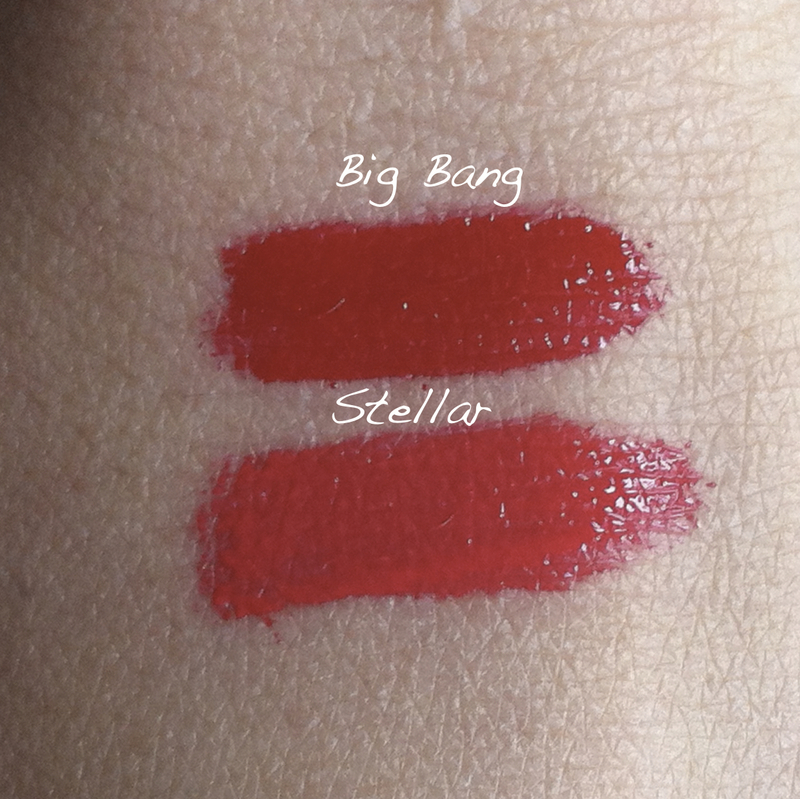 The formula is a bit tricky to apply and you definitely need a mirror if you want to keep the product within your natural lip line but the colour pay off is pretty incredible. I did notice a bit of bleeding after a bit of wear but perhaps I had applied too much product as I haven't heard anyone else mention this issue. There are two other colours in the collection that I have my eye on but at the moment I am going to stick with these two. I spent most of July glued to twitter checking to see if Baby Cambridge was on its way. Literally I was on pins and needles starting July first so lets just say it was a long month. When I say I am royally obsessed it is not an exaggeration. Moving on. This month I fell in love with two products from Sleek that were new to me. The Sleek Contour Kit and the Sleek Blush by 3 in Sweet Cheeks are both fantastic palettes. I was very pleasantly surprised by the highlighter in the contour kit. I was expecting it to be chalky with glitter but there was no glitter in sight and I don't have a champaign highlighter in my collection so it will get a lot of use. I have also been using the blush trio pretty much everyday this month and I think that it is great quality especially at the low price point. It really can't be beat for the price. I also shopped my stash this month and started using MAC's Eye Shadow in Hold That Pose again which was from their Fire and Ice Collection a few years ago. This month I was also loving the Tony Moly Egg Pore Nose Pack. I got these on eBay and I just feel that they are stronger than the Biore ones that I had been using. I also have been using two nail polishes pretty much all month. First is Rimmel's Lasting Finish Pro in Sunset Orange and the second is Revlon's Coral Me Wild which lasted an astonishing 11 days without chipping on me. The final product that I have been loving this month is Garnier's Curls and Shine Mousse. I have been using this when I want straight hair because it does a great job of keeping frizz away on humid days (don't ask me why I bought the one for curly hair). I normally put the mousse into wet hair and then blow dry and straighten it.